As each building or property is unique, so is each Commercial Property Inspection (CPI) and Commercial Property Condition Assessment (PCA). Many factors contribute to the calculation of an affordable, yet comprehensive and accurate, real estate due diligence proposal. A baseline Professional Commercial Property Inspection for a small facility may cost little more than a thousand dollars, whereas a very large and complex Property Condition Assessment may cost thousands of dollars. We'll work with you to find the best due diligence options and affordable pricing for your investments. Every quote is custom tailored, so ask for your free quote today. ​Don't pay more than you really need to in order to accurately and affordably concrete your due diligence. 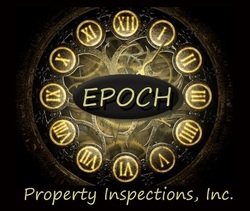 However, as you conduct your search for professional commercial inspection and property assessment services bear in mind that the company you select must be extremely experienced, well educated and professionally insured specifically for commercial real estate inspection services. ​​​Don't be mislead by under-qualified inspection companies offering bargain basement inspection prices utilizing staff that does not meet ASTM property condition assessment requirements for Engineering, Architectural, and Commercial Construction Inspection Experience. Commercial Property Inspection and Real Estate Due Diligence is a unique skill set honed through decades of experience, protect yourself and your investments! All due diligence companies and reports are not created equal. ​A poorly executed inspection or assessment, providing a low quality report, will cost you big time down the road, a high quality inspection or assessment by experienced qualified real estate pre-purchase due diligence experts will save you big time right now. ​Avoid paying more than fair value for real estate - Condition, Condition, Condition! ​Some of the factors taken into consideration when we provide a proposed cost for your Inspection or Condition Assessment include: Property size and Condition, Building square footage, Type of structures, Age of the structures, and the general location as is relates to travel and accessibility. The short answer to the question, "what is the cost? ", of a commercial property condition assessment or property inspection is, there is no short answer. You need to do your due diligence to find the right blend of professional experience and abilities in order to determine the level of accuracy and affordability in the services you require for the investment you are making.